FC Barcelona returned to training on Thursday with all eyes on their next fixture in La Liga. Ernesto Valverde’s team have a tough looking date with third placed Valencia at Camp Nou on Saturday in La Liga with Marcelino’s team having picked up 25 of a possible 27 points in their last nine games. The blaugranes are looking to put their Champions League exit at the quarter finals stage behind them and move ever closer to the league title. 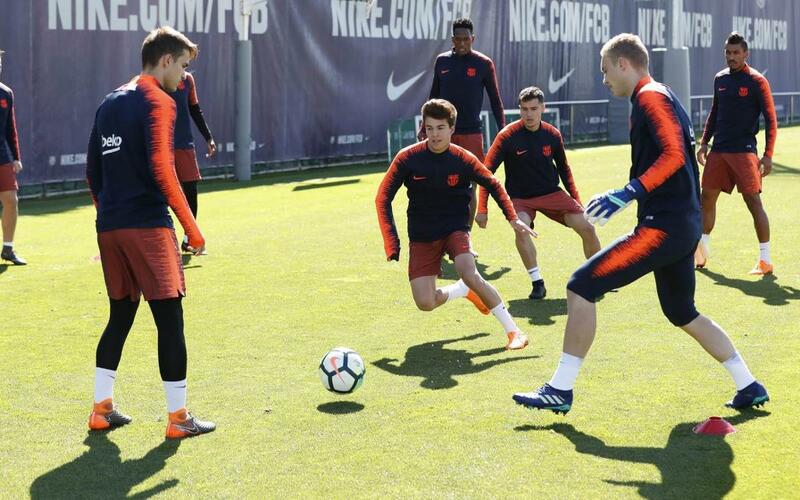 The available first team squad trained at the Ciutat Esportiva with Lucas Digne returning for the first time after suffering a thigh injury three weeks on international duty with France. Also present in the session were Barça B squad members Carles Aleñá and Riqui Puig.